Suicide Squad: The Album - "Sucker for Pain" Single. Cover for single "Sucker for Pain" দ্বারা Lil Wayne, Wiz Khalifa. 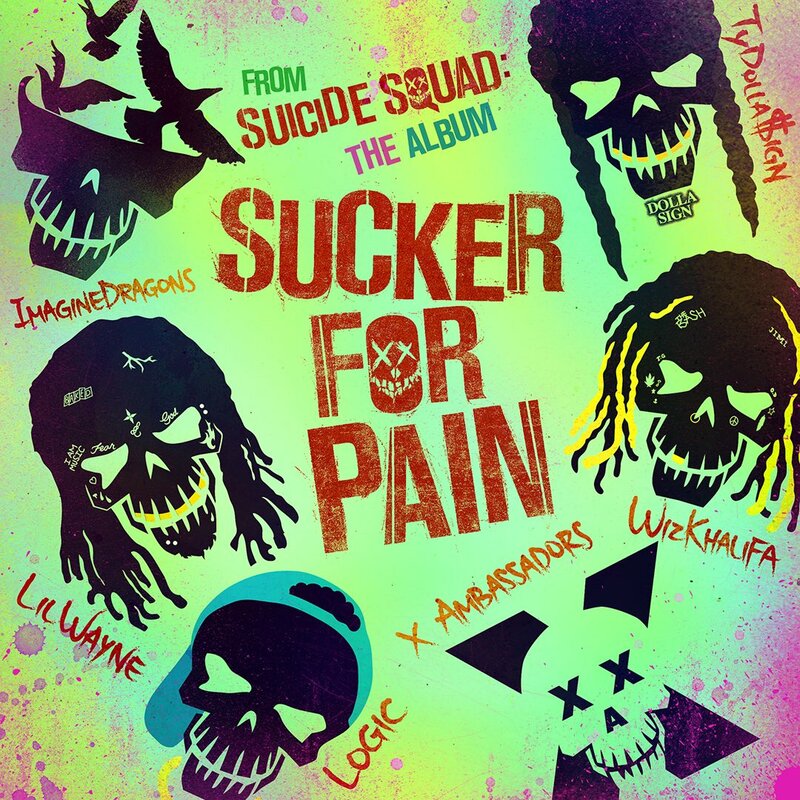 HD Wallpaper and background images in the Suicide Squad club tagged: photo suicide squad 2016 soundtrack music album cover single sucker for pain lil wayne wiz khalifa imagine dragons logic ty dolla sign x ambassadors. This Suicide Squad photo contains নকল মানুষের, কমিক বই, কমিকস, and কার্টুন.